The plaza includes 12 fully handicap accessible units including 4 units for individuals with sensory impairments. The site is an ideal location, adjacent to the 23rd and Venango Bus Loop, a major transportation hub. Designed with energy efficiency at the forefront, the plaza will be built to Passive House standards. The development has very strong community support. This development will play a very important role in the revitalization of the Allegheny West neighborhood. 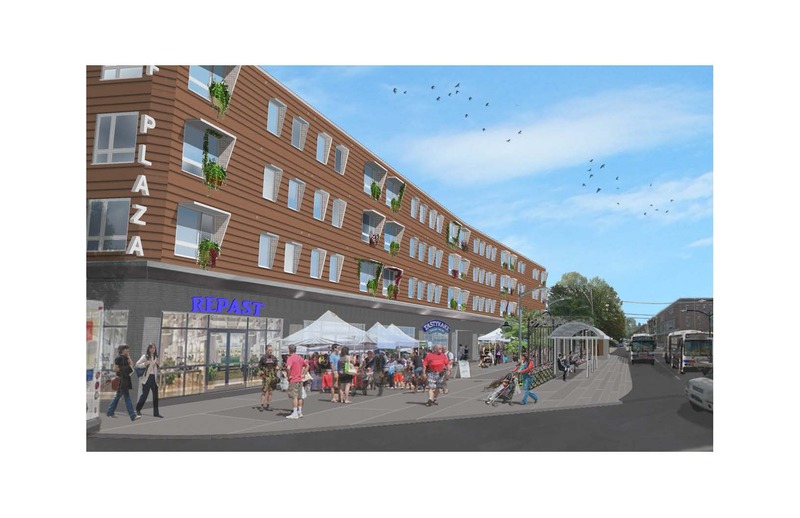 Due to its ideal size and location, the AWF Plaza has the potential to fundamentally change the character of the Allegheny West neighborhood and enhance the lives and amenities available to residents of the community. If you would like to highlight your favorite affordable housing development, please contact us.